Welcome back to our blog series on the history of sushi! We get cravings for sushi, we eat it regularly (especially in places like D.C., where there are marvelous sushi restaurants at every turn), but we rarely stop to think about how this delicacy came to be. 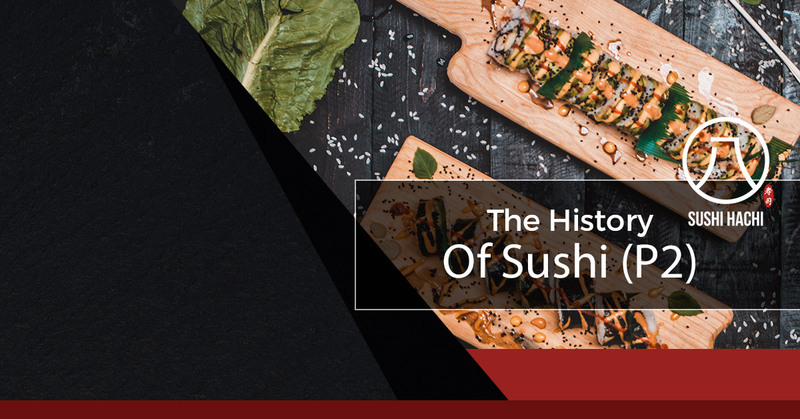 Our blog series is here to lay down the facts on how sushi made its way from China to Japan, all the way to Sushi Hachi! Find some facts, impress your friends with your newfound knowledge, check out our menu, and stop by Sushi Hachi for the capital’s best sushi around. 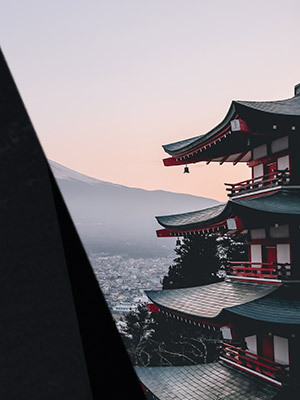 As we talked about in our last blog, the concept of sushi originated in the continent of Asia, but it’s believed that the spread of Buddhism contributed to this delightful food’s arrival in Japan. In Buddhism, many abstain from eating meat and turn to fish instead. Japan was the perfect place for both of these worlds to collide. Over 1,000 years ago, golden carp from the fresh waters of Lake Biwa were caught, packed in salted rice, then fermented (with the help of weights to speed up the process). As PBS explains, “This process took at least half a year to complete, and was only available to the wealthy upper class in Japan from the ninth to 14th centuries.” It wouldn’t be until all hell broke loose for things to change in the 1400s. Did You Know? The capital of Japan hasn’t always been Tokyo. Kyoto and Edo are two other cities that had once been the capital. Japan was wracked with civil war in the early part of the 15th century. Whether out of necessity or modernization, cooks started to find that they could reduce the fermentation time to a month instead of half of a year. They also recognized that they didn’t need to fully decompose the fish in order for it to be scrumptious, thus saving even more time. Another century later, and the city of Edo was pronounced the new capital of Japan. Edo rapidly and drastically turned into a city of nightlife, and it didn’t take long for the sushi process to speed up at an equally quickened pace. By the mid-1700s, it was discovered that cooked rice that had been seasoned with rice vinegar could help the fermentation process. They pressed these layers with fish for just a few hours to get the desired result — quite the progress from centuries prior! In our next blog, we’ll conclude our three-part sushi history series by bringing everything to the present day. Sushi makes for one of the best meals possible, and this becomes all the more true when you dine at our sushi restaurant. We uphold the traditions and rich history that sushi, ensuring that every bite is more perfect than the one before. Our expert chefs are masterful at what they do, and we guarantee that your first visit won’t be your last. Try out our sushi restaurant for yourself — visit Sushi Hachi today!